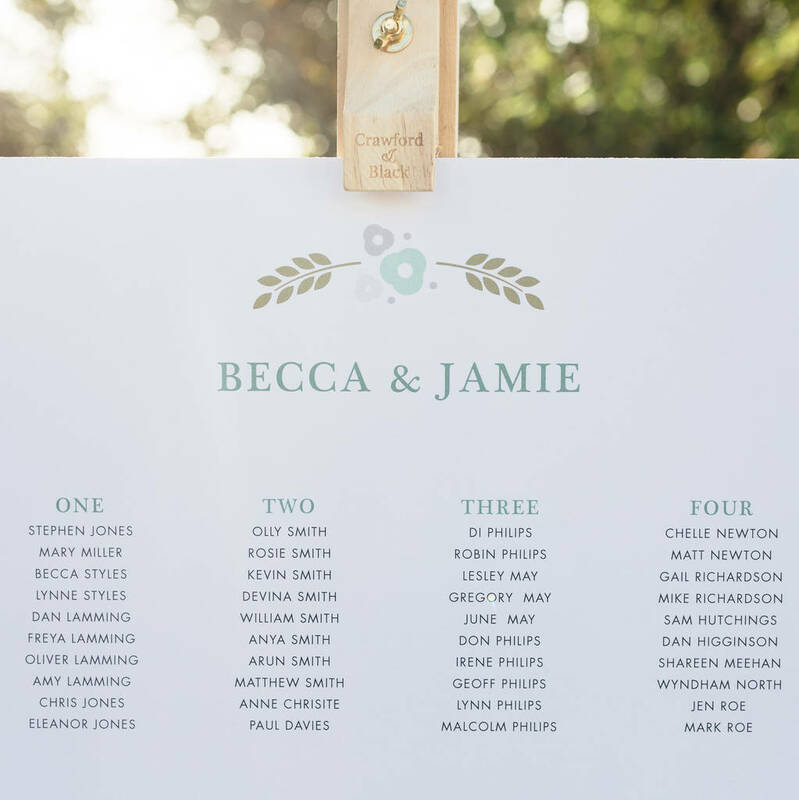 Personalised with your guests' names and available in any colour! 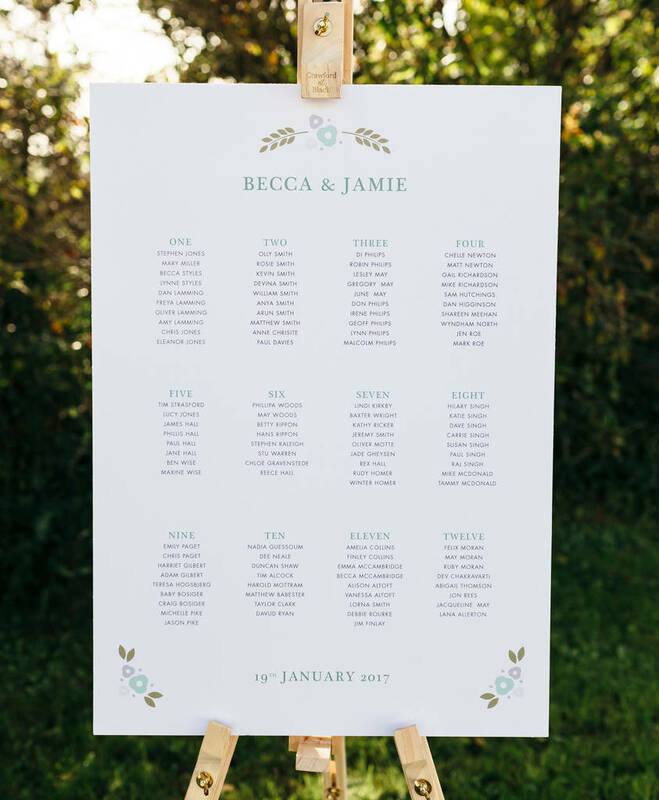 This illustrated seating plan is a great choice for weddings and any other party such as engagements or anniversaries. All illustration and design is created in house at the Dearly Beloved studio by husband and wife creative team Abigail and Ben and printed in the UK. 1. Once you have placed your order we will be in touch within 48 hours to request your chosen accent colour and your table plan details. 2. Please ensure that the text you send over is the final layout of your table plan as we are only able to update the design with small text amendment onces the guests names have been entered into the design. 3. 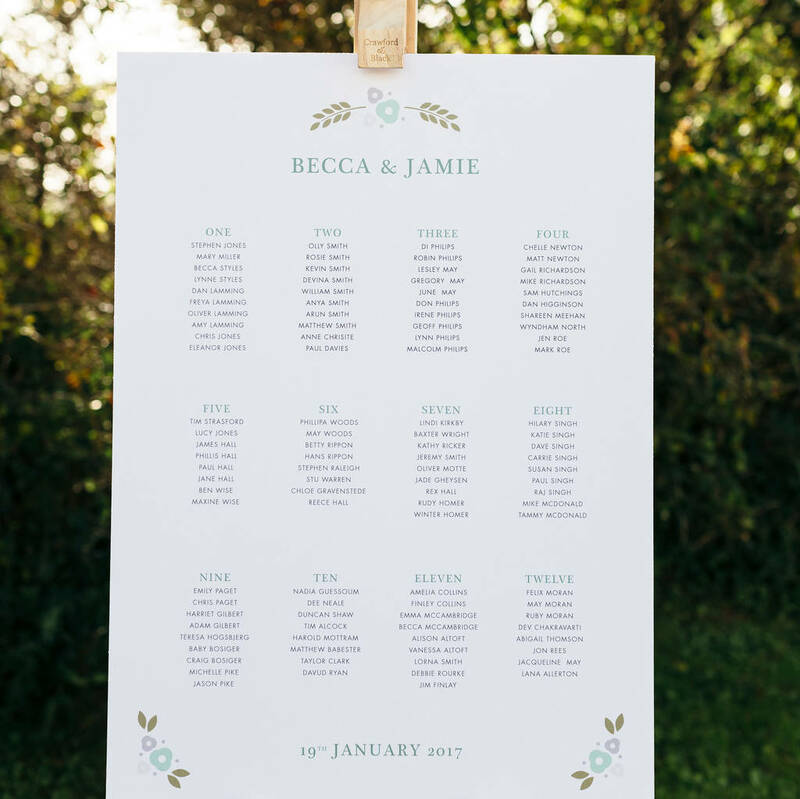 We will send you a digital version of your table plan for approval prior to printing. 4. Once you have double checked the design we will send to print and it will arrive shortly at your chosen address.